A great hydrosol to use as a facial spritz to refresh both the skin and mind. 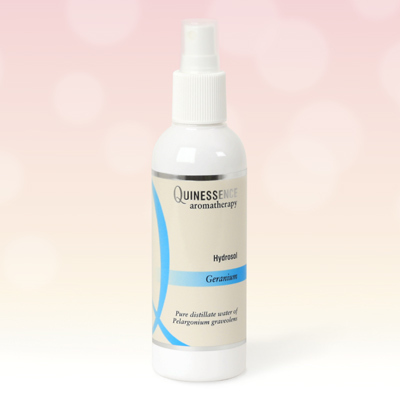 Due to Geranium's renowned ability to act as a balancer, this product tones, balances and rehydrates all skin types. Perfect as a travel companion to give you a happy uplifted feeling whilst others around you are hot, tired and exhausted - or alternatively take it to the office to enhance your well being at work.